Traveling with tots isn’t always easy, but at least with Itzy Ritzy, you can be sure your little one’s goodies and personal items are safely stowed and easy to transport. Itzy Ritzy’s line of on-the-go rolling suitcases and backpacks were made just for traveling kids, with colors and designs that coordinate with their Lunch Happens line and other child-friendly products. The new Adventure Happens Rolling Suitcase is the perfect child-sized rolling travel bag, made of a durable polyester canvas that features a spacious interior and front zipper pocket to make packing simple. The compact size fits neatly away in your car or under an airplane seat while the soft fabric zipper tags help small hands open and close the bag with ease. The Preschool Happens Toddler Harness and Backpack is a 2-in-1 accessory that allows your child to independently carry his own stuff and though harnesses are widely debated, if you’re on board, you’ll feel safer knowing your child is within arms reach. 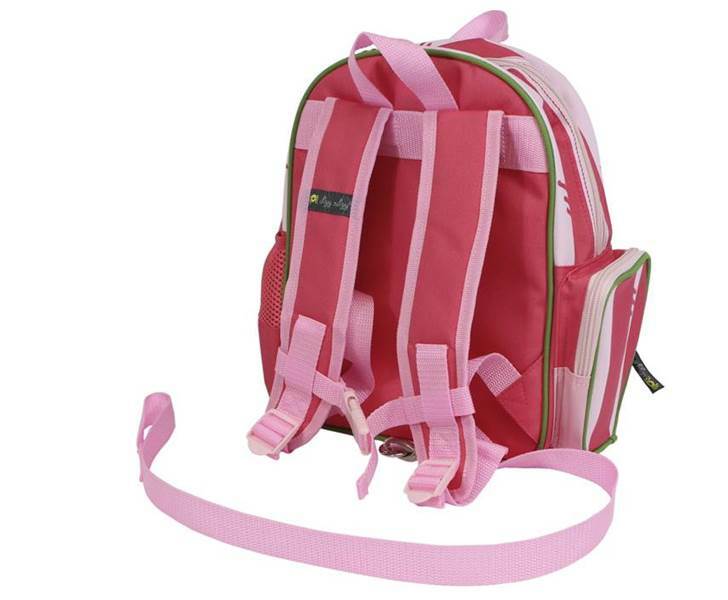 The backpack has soft, easy to open and close zipper tags, a main zippered pocket, a zippered side pocket for snacks, top loops for storage and other carrying options and a mesh bottle pocket. You can also adjust the padded shoulder straps so they’re perfectly comfortable for your little one. Check out the whole travel line at Itzy Ritzy and breathe a little easier while on-the-go with your tot. Traveling with tots isn't always easy, but at least with Itzy Ritzy, you can be sure your little one's goodies and personal items are safely stowed and easy to transport. Itzy Ritzy's line of on-the-go rolling suitcases and backpacks were made just for traveling kids, with colors and designs that coordinate with their Lunch Happens line and other child-friendly products. The new Adventure Happens Rolling Suitcase is the perfect child-sized rolling travel bag, made of a durable polyester canvas that features a spacious interior and front zipper pocket to make packing simple. The compact size fits neatly away in your car or under an airplane seat while the soft fabric zipper tags help small hands open and close the bag with ease. The Preschool Happens Toddler Harness and Backpack is a 2-in-1 accessory that allows your child to independently carry his own stuff and though harnesses are widely debated, if you're on board, you'll feel safer knowing your child is within arms reach. The backpack has soft, easy to open and close zipper tags, a main zippered pocket, a zippered side pocket for snacks, top loops for storage and other carrying options and a mesh bottle pocket. You can also adjust the padded shoulder straps so they're perfectly comfortable for your little one. Check out the whole travel line at Itzy Ritzy and breathe a little easier while on-the-go with your tot.